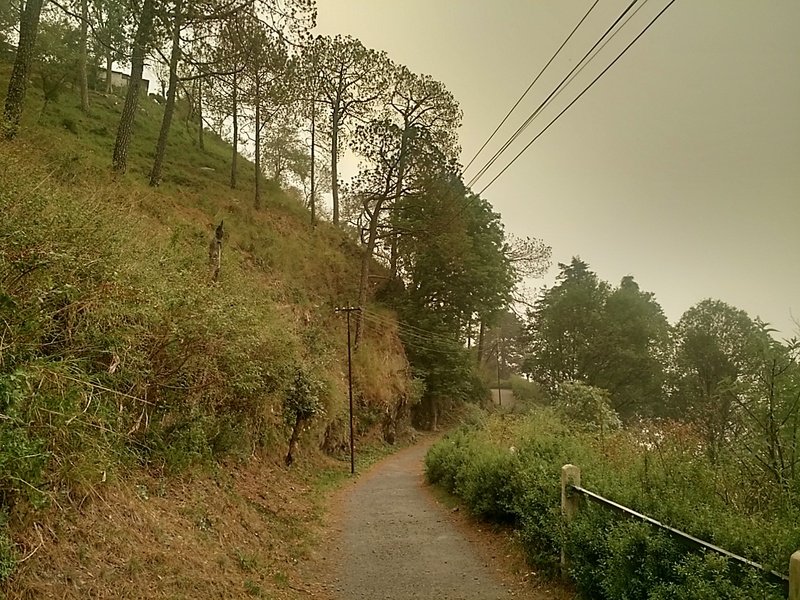 Away from the tumult of the usually crowded hill stations, there lies Kasauli, a sleepy little hamlet amid the opulent green treasures, often surrounded by mist and elusive clouds. The colonial houses, peaceful lanes, lovely orchards and the stunning view of the mountains together make Kasauli a perfect holiday getaway. I was looking for a quiet, relaxing place and hence chose this pretty little place for my summer escapade in mid June. Be prepared for sudden change in weather from sunny skies to cloudy and rains. 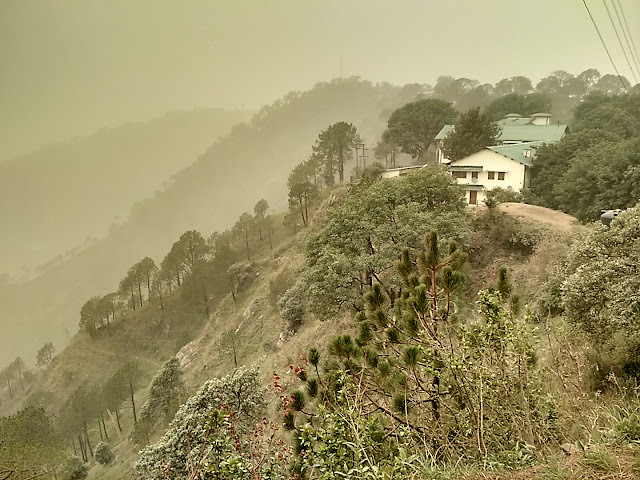 When entire North India was blanketed by dust storm, Himachal wasn’t untouched. 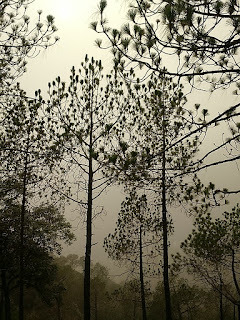 As we drove through Punjab, the dusty brown sky turned out to be a huge disappointment. We (husband and I) fretted on our holiday being spoiled. 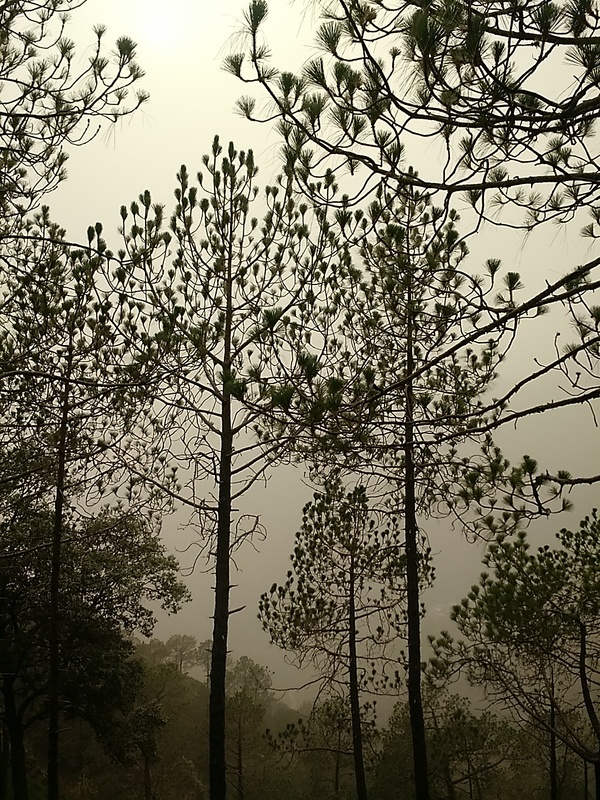 But as I said, one needs to be prepared for sudden change in weather, the rain god heard us and it poured late evening, clearing the dusty sky and making the romantic weather more charming. 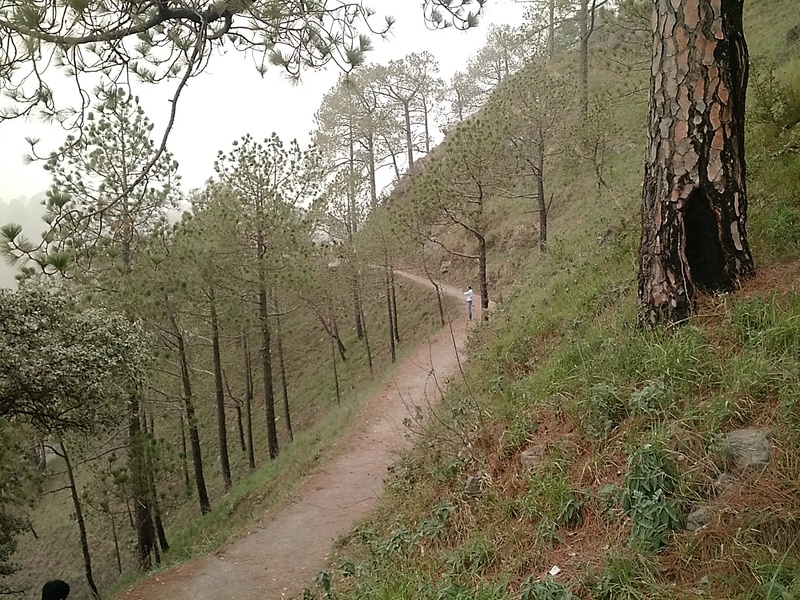 Kasauli isn’t a very touristy place as there are few places only which you can cover on foot in few hours. 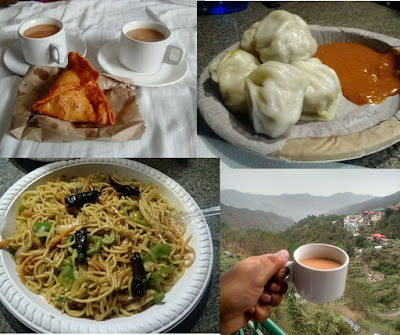 Since the best things in life are enjoyed at ease, one can enjoy in Kasauli while strolling on the roads, admiring the beautiful houses (many are open for home-stays) and breathing in the fresh air. The place isn’t for party goers or adventurous ones but for those who wish to take a break and relax in the bounties of nature. 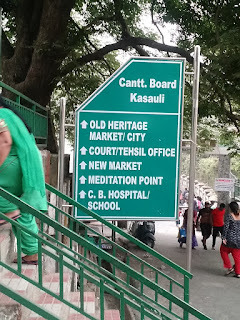 Kasauli Canontment board is an Indian Air Force base hence is well maintained and clean. 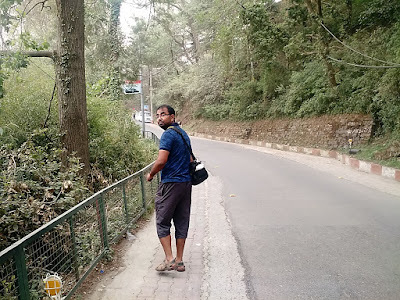 This reminded me of my trip to Lansdowne which I found equally spotless like Kasauli. I wish people proactively kept all places litter free. Why should someone else clean your trash? 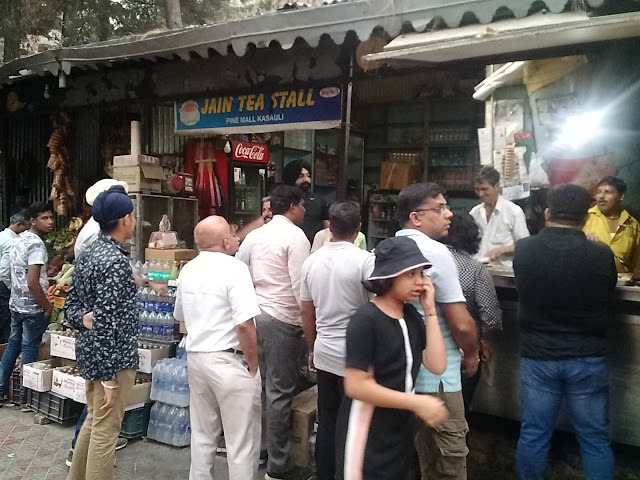 Even drinking and smoking in public is prohibited in the cantonment. The cantt is also dotted with posters dedicated to war heroes and martyrs. 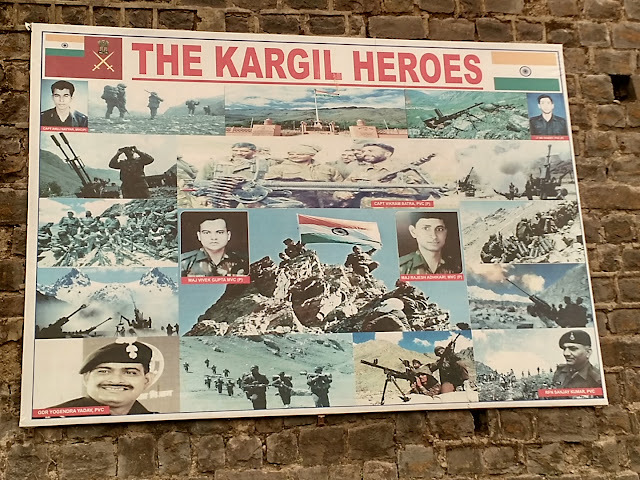 A big salute to all our brave hearts. 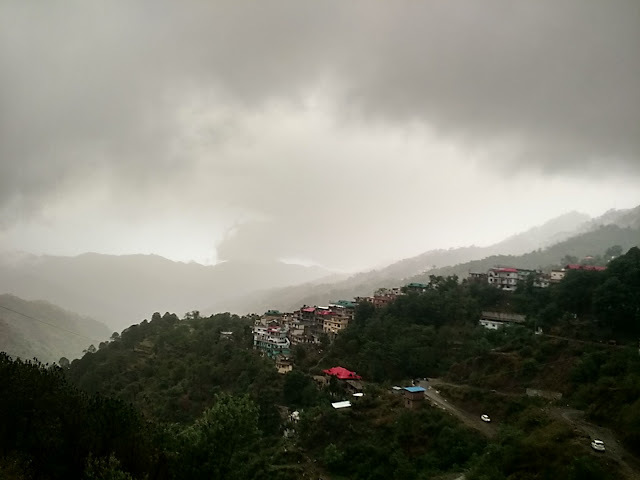 Every hill station has a vantage point with beautiful views of sunset. This point was the same with an exception that nothing was visible because of the blanket of dust. You can relax here watching the glazing sun set in the mountains, take pictures (ofcourse), let your kids enjoy on colorful swings or grab a bite at the tiny eatery. 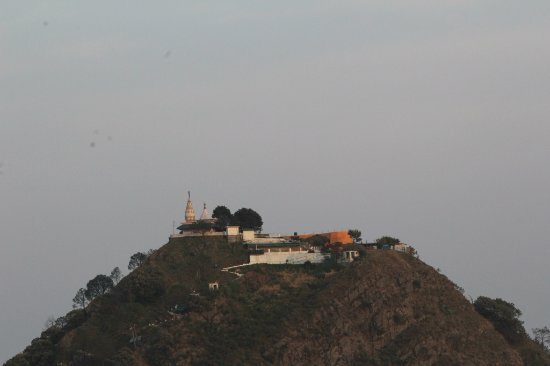 Nested in the Air Force base and in the shape of a foot, this is the highest peak in Kasauli. Legends say that Lord Hanuman had set foot on this place while he was returning from his search of "sanjeevni booti" for Lord Ram. A small temple dedicated to Lord Hanuman draws crowd as well as monkeys. 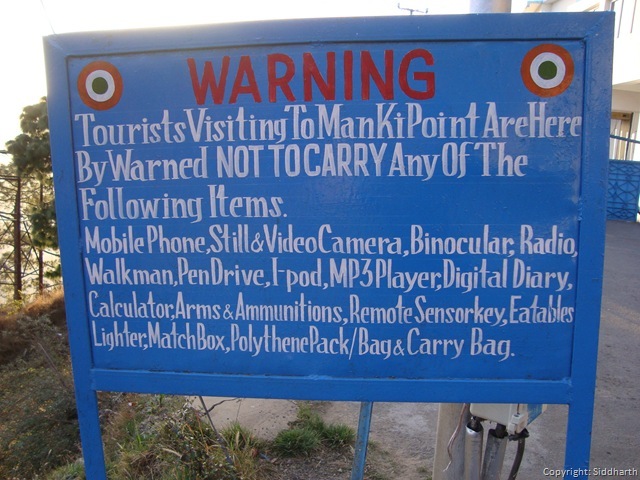 Be prepared for a thorough checking and frisking at the entrance. -Takes about an hour to see the place at leisure. 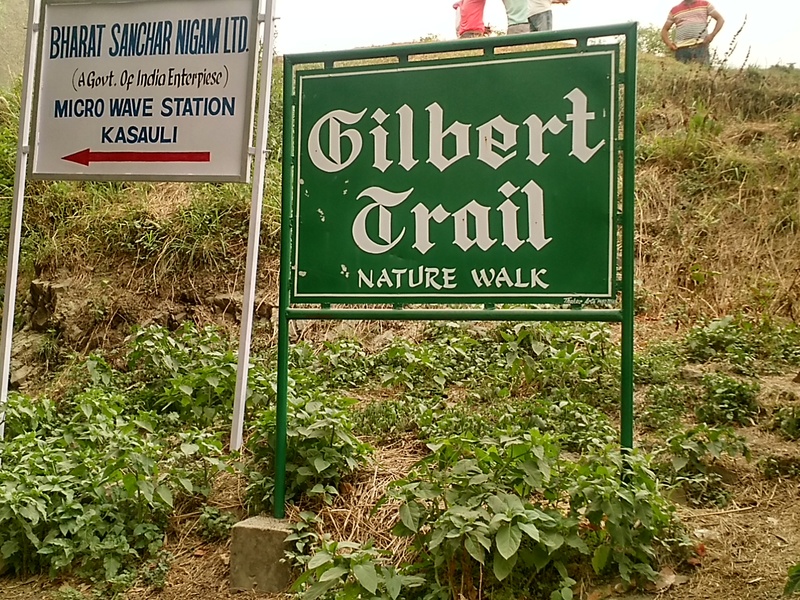 The 1.5 kilometer trail is a treat to your senses, literally. Gilbert Trail was my favorite place in Kasauli. Known as the most picturesque trail, it offers marvelous natural beauty and serenity which ends at the Airforce Station near Manki Point. Husband and mine joys knew no bounds amid the lush greenery and chirping of birds. The misty backdrop was the cherry on the cake. Its quite an easy hike that suits all age groups. 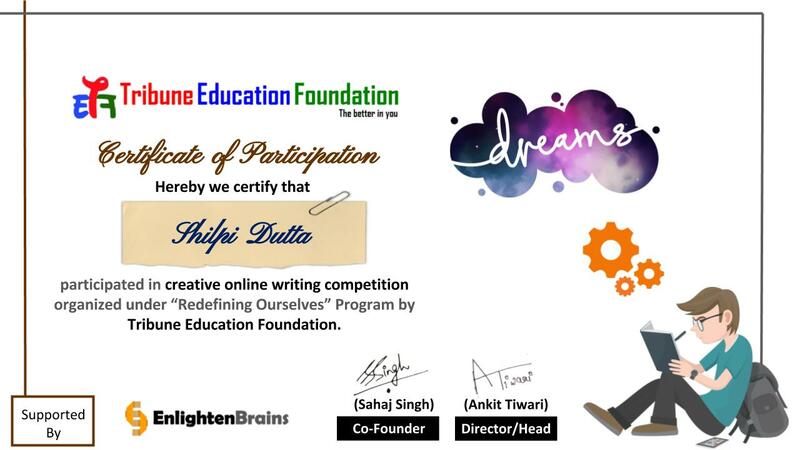 The walk leaves you refreshed and elated. Needless to mention the natural props along the way give you immense photo opportunities. -Can be visited all seasons. 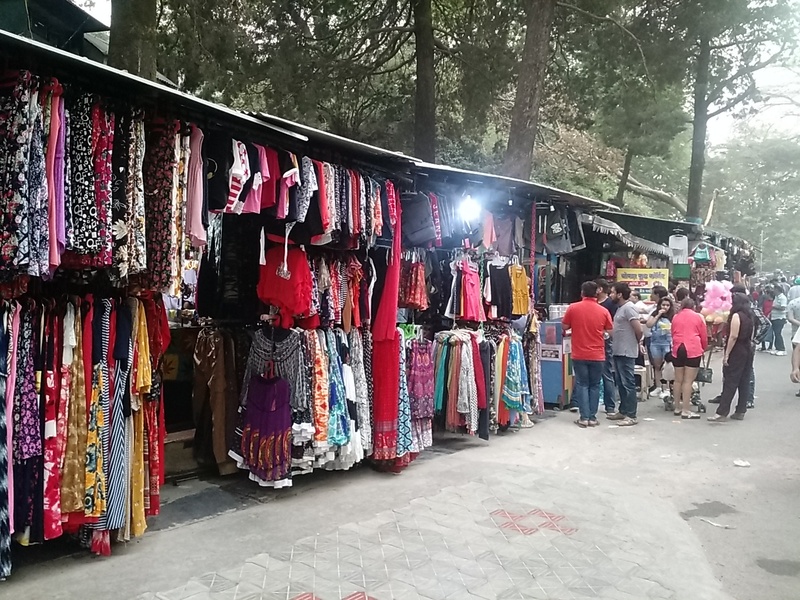 No its no mall. This is the vintage mall road housing several shops from busy eateries to selling colorful handicrafts.Mmall road is thronged by visitors all year in all seasons. Hunt for the most sought after momos or juicy burgers, the mall is a traveler's paradise. 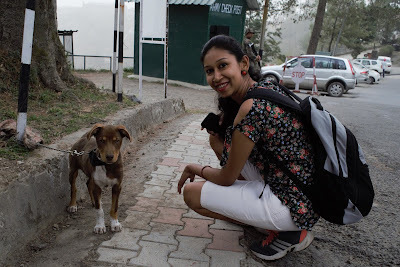 And yes, a lot of friendly canines also roam around in the streets, often fed and looked after by locals. No wonder they are healthy and plum. I loved watching them lazing around and sleeping to their heart's content. -No entry fees but parking your vehicle can get very difficult. -Take as much time as you want for hogging or on shopping spree or simply hop around. My first day was spent strolling and hogging in Kasauli. The next day we visited Barog. Will post about Barong in my next post. 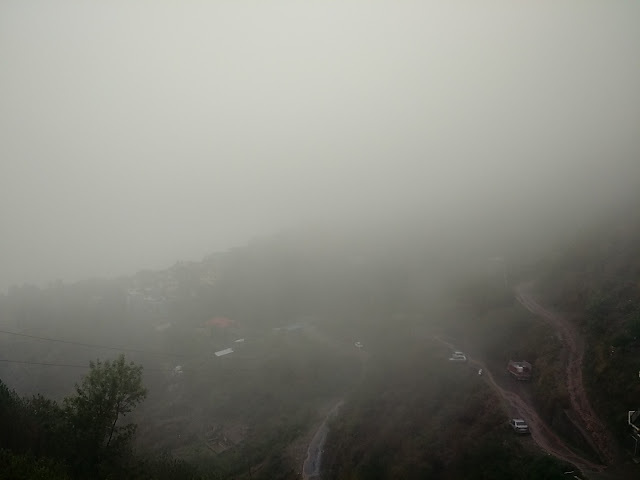 Trains- There are no trains to reach Kasauli. 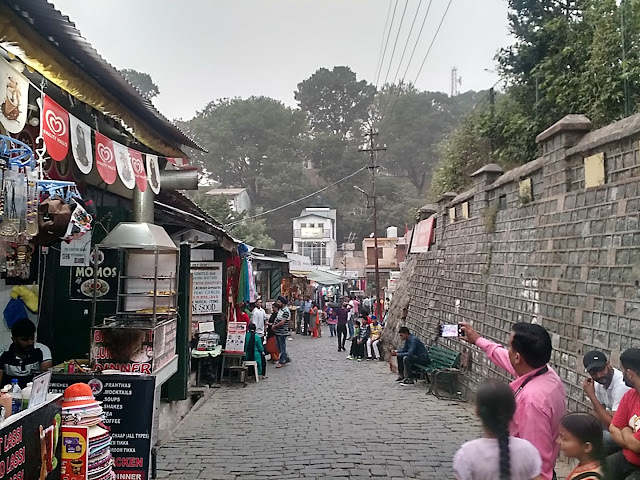 The nearest railway station is Barog for the toy train that plies from Shimla to Kalka. 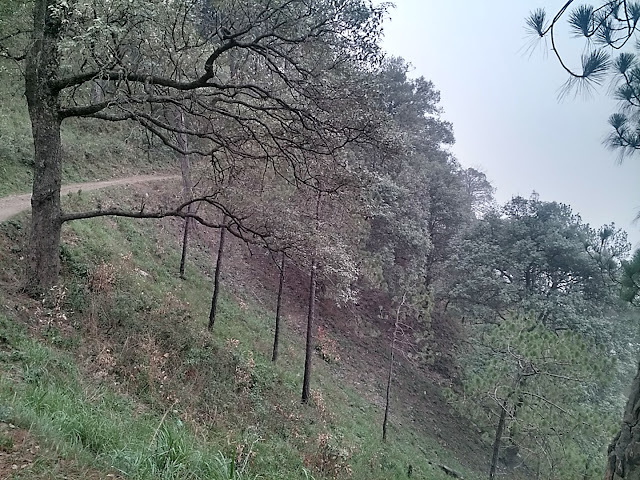 Main railway station is at Kalka 26 km from Kasauli. 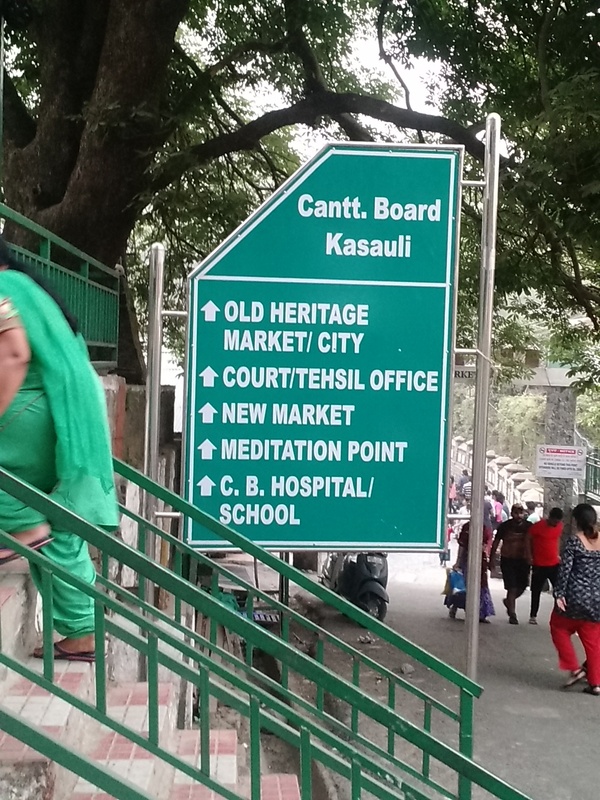 By air- Kasauli has no airport either. 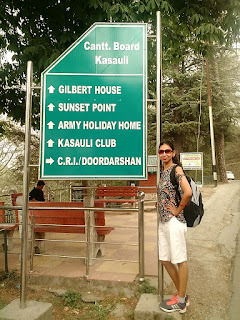 The nearest airport is at Chandigarh located 70 km away from Kasauli. 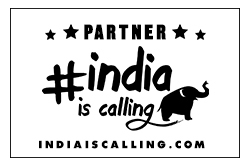 P.S- This trip was in the month of June 2018. 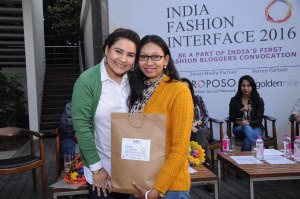 This post also made it to the Indiblogger Home page among top blog posts. 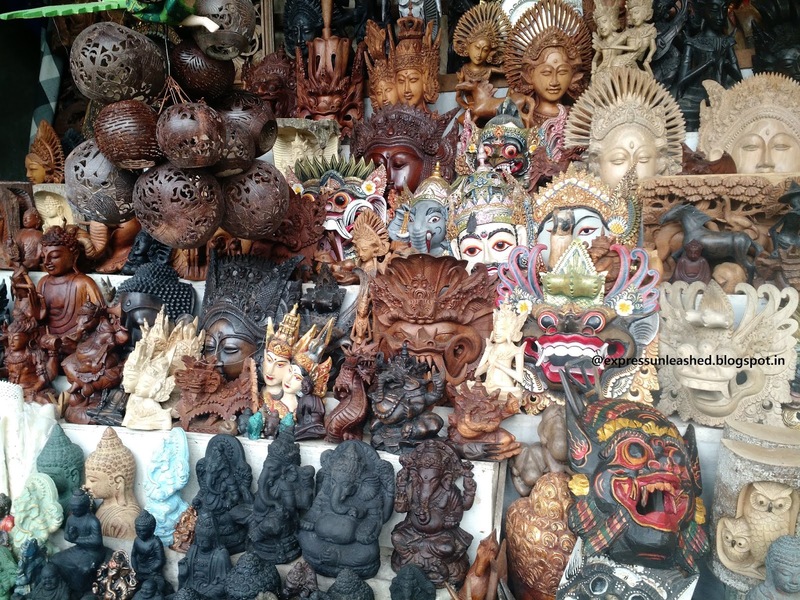 Bali has an enticing, rich cultural history that has been the source of attraction for everyone. The place never fails to surprise you. 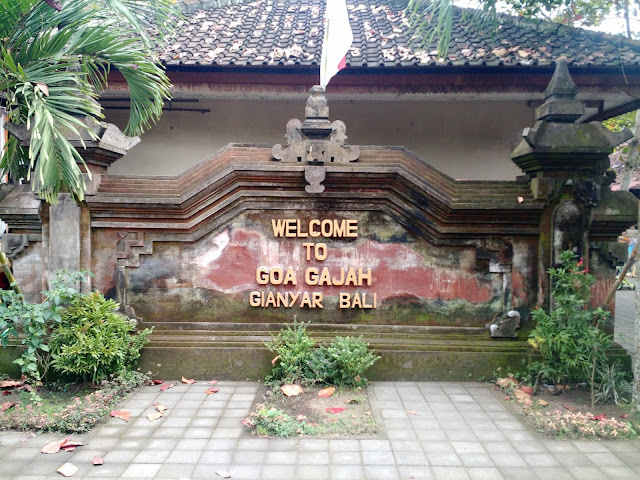 One such place in the paradise island is Goa Gajah. Located in the heart of Ubud, just three kilometers away from sacred monkey forest, Goa Gajah got its name from the elephant carving at the entrance of the cave. Gajah or elephant, is the primary carving besides other demon looking figures. The cave is said to date back since 11th century. The dim lit cave houses the idols of Lord Shiva, and Ganesha. 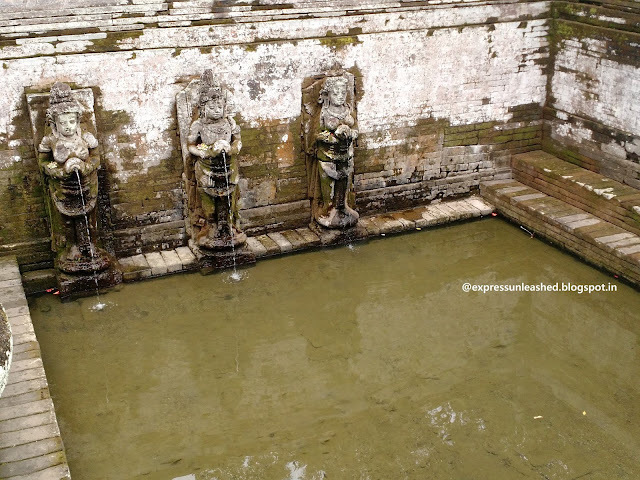 Rest of the complex has both Hindu and Buddhist imagery. 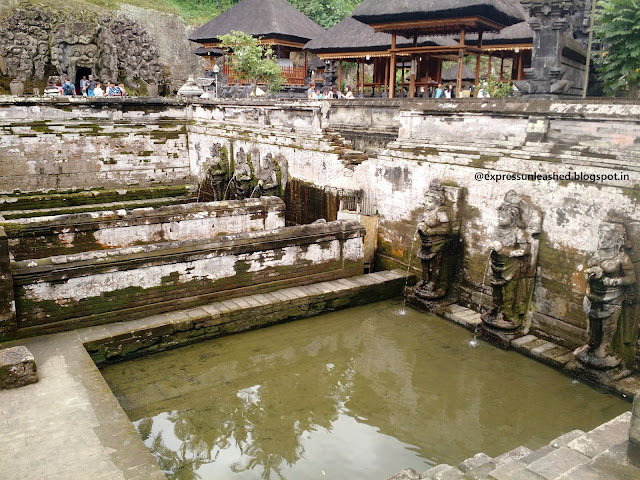 Spread over a large area in an untouched, lush green forest, Goa Gajah besides the iconic cave has a cemetery, Buddhist temples, gorgeous gardens, sacred pools, a tiny waterfall, colorful flea market and religious structures resembling Hindu architecture. 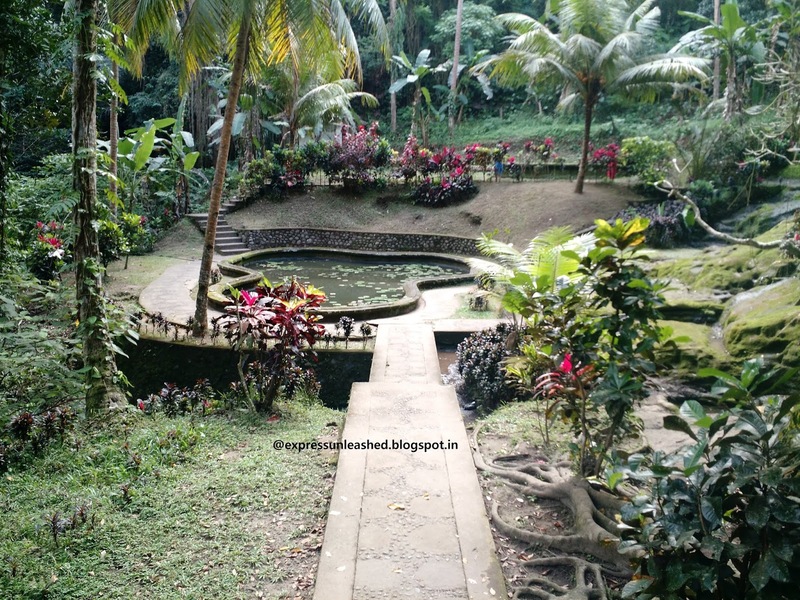 I loved the well maintained garden. The path to Buddhist temple is a long stairway dotted with bright hued flowers. 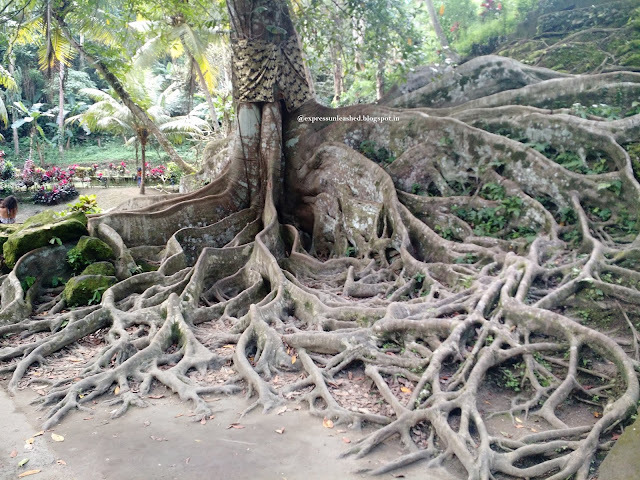 A huge Banayn Tree which I suppose is a century old, got my attention.The humongous tree has its magnificent roots spread across a large diameter and the arial roots resemble a lifestyle sized harp. Sheer brilliance of nature. And a noteworthy thing is the respect people have for nature. No deforestation or harm to flora is allowed in Bali. I salute their spirit and love for the Earth’s natural wonders. 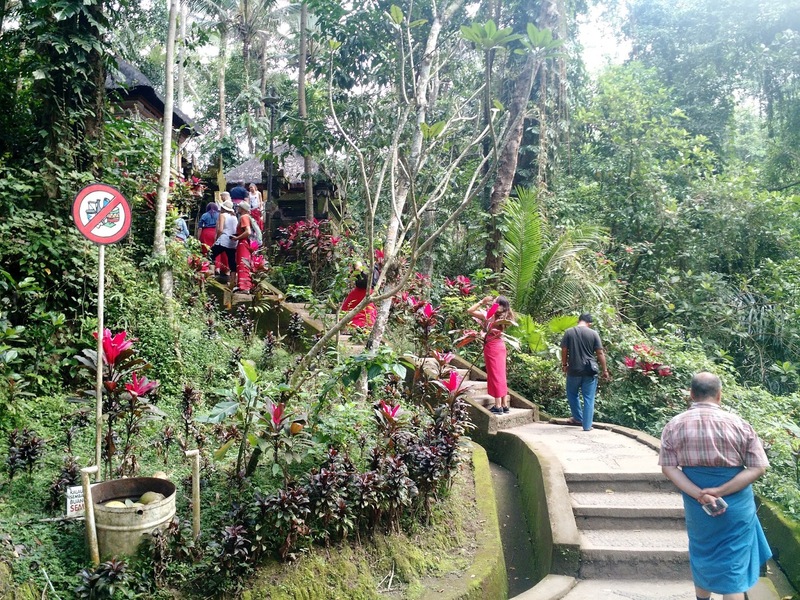 Goa Gajah is a vast area to cover on foot. Advisable to wear flats or sports shoes and avoid heels. Also, not wheelchair friendly. 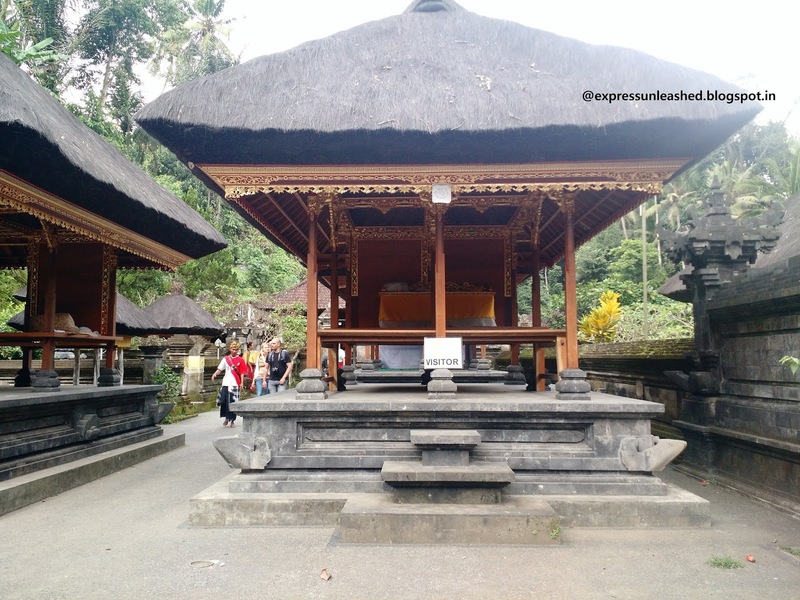 Rule- Like all sacred places in Bali, Goa Gajah too strictly follows the rule of covering legs . Sarongs are available free of cost in case you are not dressed as per the custom. They asked me to tie a scarf around a waist since I was dressed in full length pants. 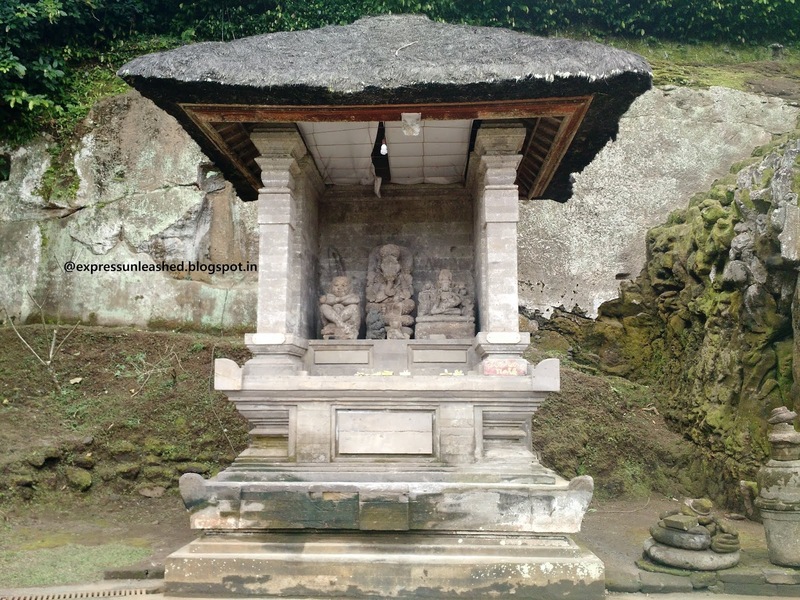 Did you know- Goa Gajah was added to the UNESCO World Heritage Tentative List on October 19, 1995, in the cultural category? 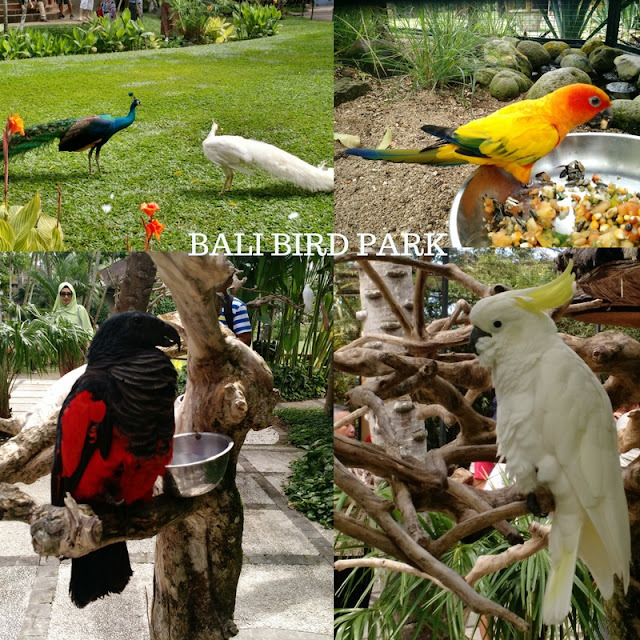 Bali is one of the most gorgeous tourist destinations which offers everything from pristine beaches and night life to lush forests and ancient monuments. 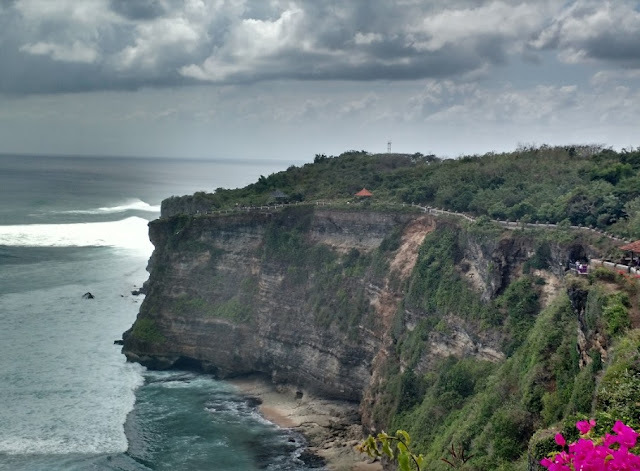 One among them is the Uluwatu temple, popularly known as the cliff temple due to its location on 70 meters high cliff and surrounded by the vast expanse of blue ocean. The temple atop a cliff is visible from quite a distance and the mesmerizing blue water of the ocean lashing against the cliff's base is a sight to behold! 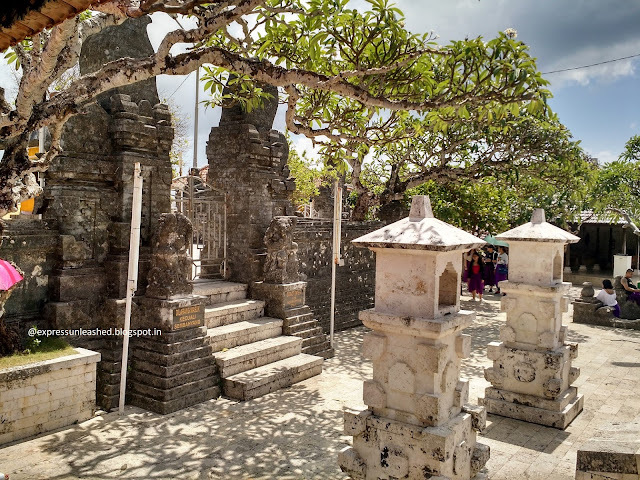 Located in South Kuta of Badung Regency, Uluwatu temple's existence dates back to the 11th century. The temple is dedicated to Sang Hyang Widhi Wasa who is the supreme God of Indonesian Hinduism. 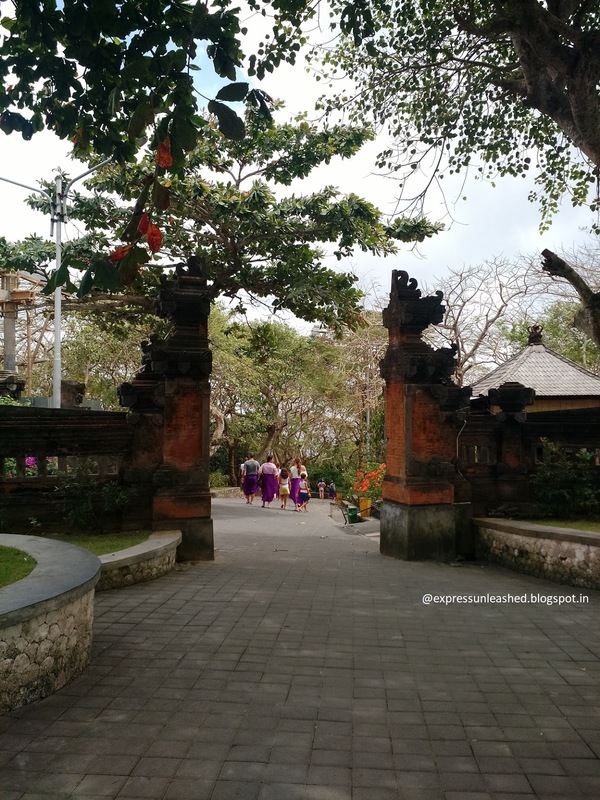 Like all temples in Bali, this one too prohibits entry to tourists inside main shrine, though the surrounding area is accessible to everyone. The rule- One is supposed to cover their legs or else entry would be prohibited. 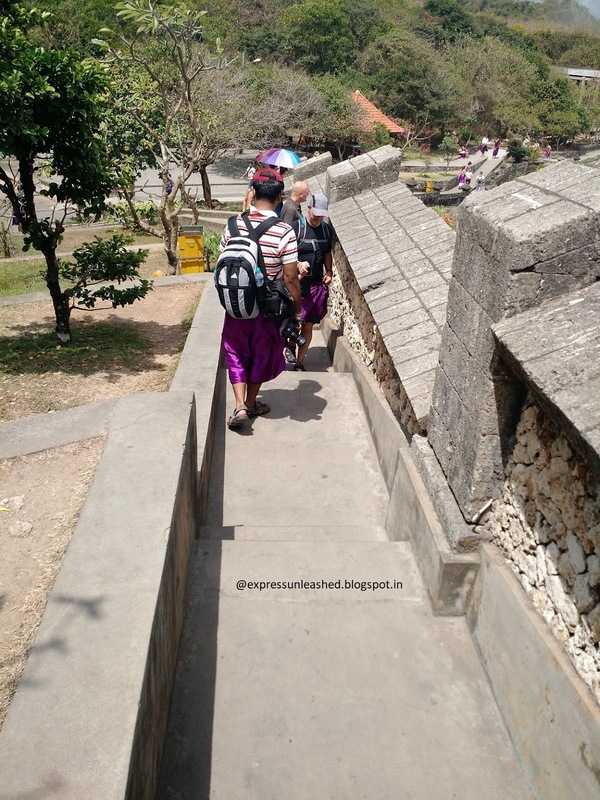 They provide sarongs at the entrance point and you have to tie it around your waist. The rule would not apply to visitors wearing full length pants/skirts. Visitors can walk from one corner to the other soaking in the historic beauty or glancing at the blue-green shades of the vast ocean. The sky too changes its color from powdery blue to grayish. As the clouds play hide and seek, the breezy winds turned into light shower of rain during my visit. 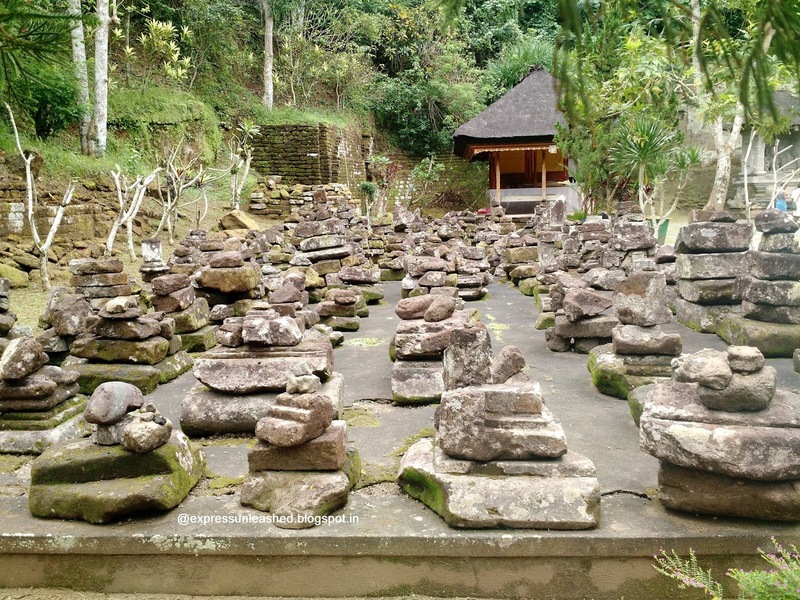 There are multiple shrines and small temples inside the premises which visitors can see from outside only. The beautiful Indonesian architecture will sweep you away. 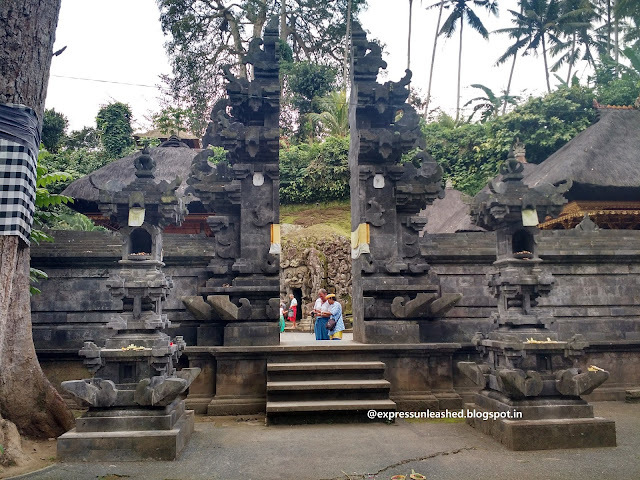 Balinese sculptures and wall carvings which bear a close resemblance to Indian architecture immediately get your attention. The surroundings are dense forests thronged by monkeys. Leaving them alone gives you high chances of not being harmed or attacked. We were lucky to not to be attacked by any. 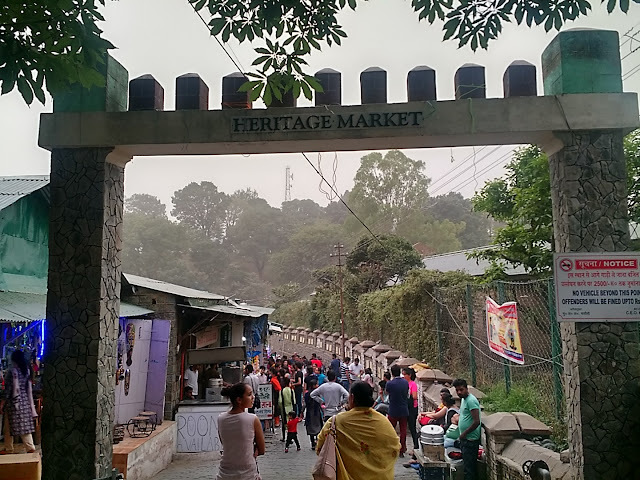 Basically you can sneak peak into the little clusters of temples, spend time sun bathing and taking in the breezy air, capturing the beauty through your lenses and take home a bagful of memories. Since a lot of walking and mounting stairs is involved wear comfortable footwear and loose airy fabric. The highlight of the temple is the Kecak dance which is performed during sunset at the amphitheater. This is a traditional dance depicting the story of Ramayana enacted by a troupe of 75 male dancers in elaborate costumes. The entry to the dance show costs 60-70,000 IDR. I had to skip the show because I did not wait till evening. To reach- Being a cliff area driving on the elevated roads is an uphill task. 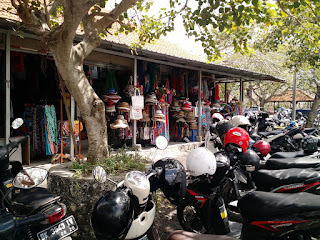 Roughly its at a distance of 20 km from Kuta beach. Population gets scanty and forests are more prominent as you head close to Uluwatu. 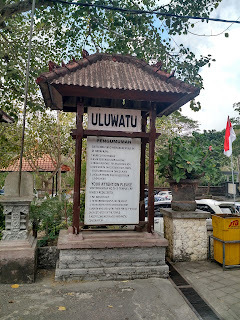 Hire a bike, map your GPS and park in the Uluwatu Temple parking area. 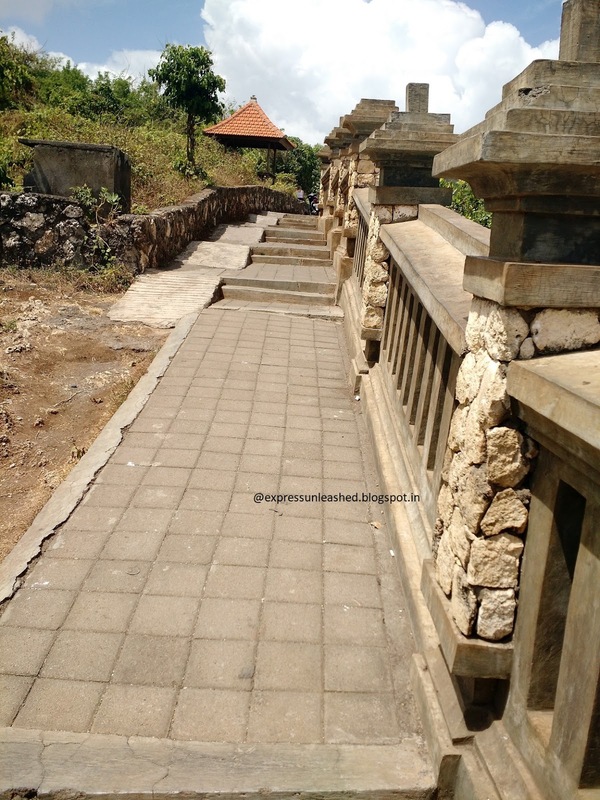 Post the temple visit, don't miss the Uluwatu beach. 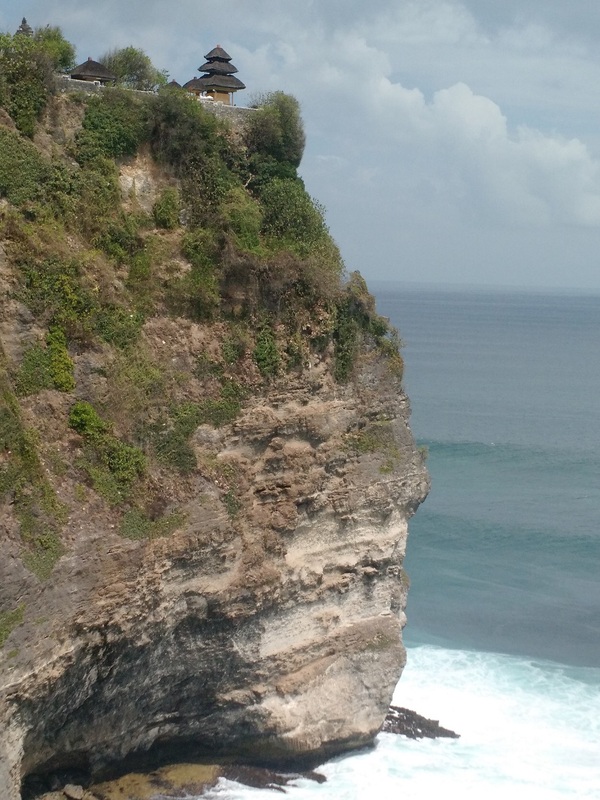 Read here to know about my next stop at Uluwatu Beach for some action and adventure. 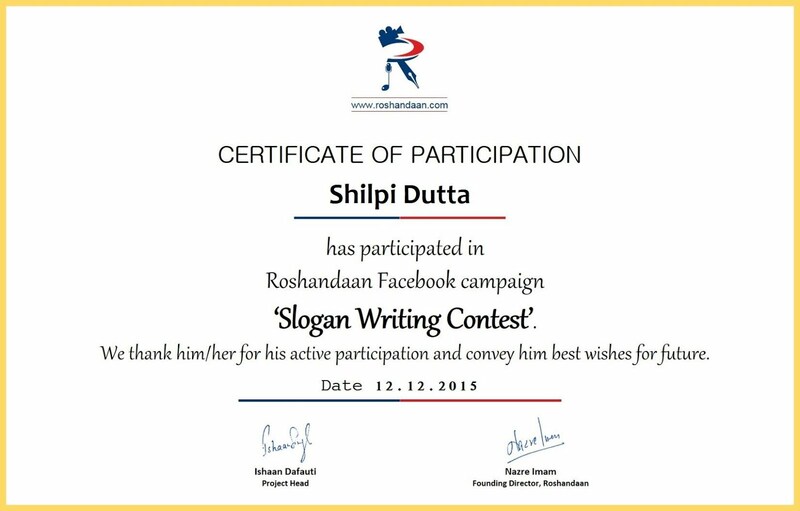 P.S- This post made it to the top post in Indiblogger home page.